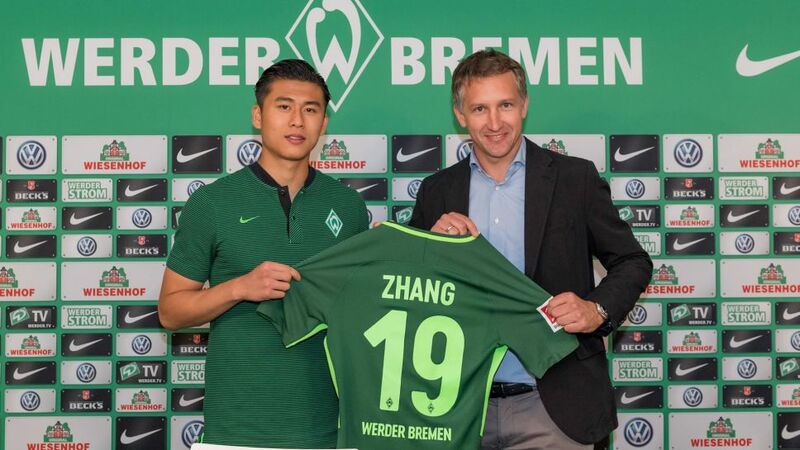 A press room full to overflowing, a livestream broadcast intermittently grinding to an overloaded halt: The Weserstadion media centre was operating at maximum capacity on 4 July, as Werder Bremen unveiled new forward prospect Yuning Zhang. Sporting director Frank Baumann also made clear the nine-time China international is earmarked for an active first-team role, adding, “We're known as a club who develop young players and that's a reputation we intend to maintain.” For his part, Zhang already counts one Bremen legend among his own role-models: “I really admired Miroslav Klose, he's one of the best strikers of all.” The new sharpshooter got off the mark himself in his second friendly outing for the Green-and-Whites, rounding out a 3-0 win against VfL Osnabrück. Player and club alike hope there will be a good few more to come. Click here for more Werder Bremen news and features.